Each year around the world, International Women’s Day is celebrated every 8th day of March. A lot of events are prepared throughout the whole month to mark the economic, political and social achievements of women. This year is the 100th year anniversary with the theme: “Equal Access to Education, Training, and Science and Technology: Pathway to Decent Work for Women”. 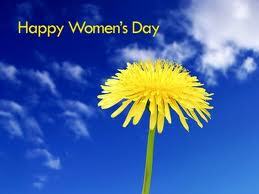 Happy Women's Day To All Women!